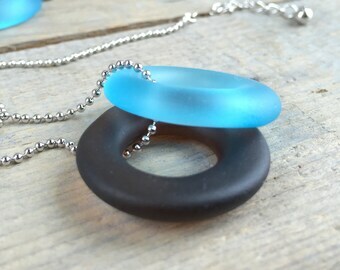 Announcement Upcycled jewelry and home decor handcrafted from glass bottles, wood and metals. All jewelry and most glassware items ship out USPS Priority Mail. 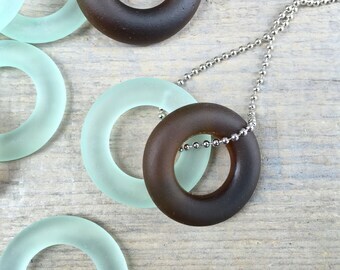 Upcycled jewelry and home decor handcrafted from glass bottles, wood and metals. All jewelry and most glassware items ship out USPS Priority Mail. My 8 year old helped make an upcycled earth using Bombay Gin & Jameson Whiskey glass bottle beads. Visit our Instagram or Facebook page to watch the time lapse video. Pretty little springtime rings. 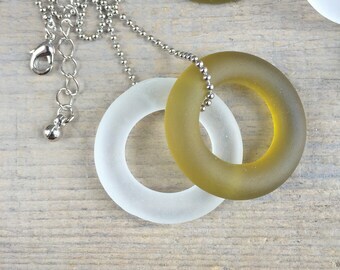 Eco jewelry created from recycled glass bottles and recycled pewter. 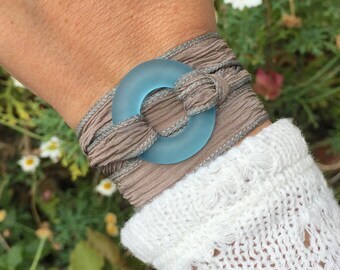 Adjustable band. Family business. Three generations strong. We are a daughter and mother-in-law team who have been designing and creating jewelry together since 2000. 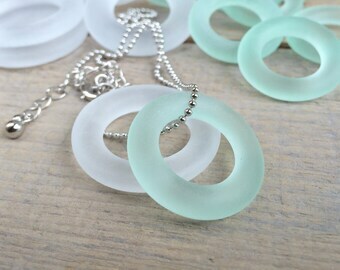 We started using recycled glass bottles as the main medium in our jewelry designs in 2009 and opened reVetro in 2011. Our passion for upcycling discarded wood, metal, fiber, paper and glass is the inspiration behind all of our lines. With four decades of experience in repurposing, reVetro is powered by endless innovation. Over the years we have established relationships with local bars, restaurants and recyclers in our community to receive empty glass bottles to upcycle. 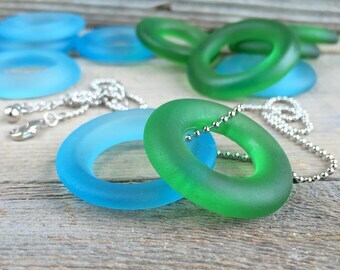 Thanks to our strong roots and the generosity of fellow San Diegans, we are able to add new and unusual bottle jewelry while continuing to offer our most popular products. We add one of a kind designs to our Etsy Shop weekly and announce our unique items on our Facebook, Instagram, Twitter and Pinterest pages. Although the core of reVetro is repurposing glass into jewelry, we offer a small variety of drinking glasses, vases, lighting and more. Our inventory is based on the the bottles we receive to repurpose. We will continue to expand our line of repurposed glass offering a unique array of eco-friendly home decor. Our journey of repurposing is just beginning. We encourage our customers to check in with us often as we grow and continue to write our reVetro story. Proud wife and mother of two amazing boys. Graduate of Indiana University with a bachelors in Public and Environmental Affairs. Introduced to jewelry design in 2000 thanks to her mother-in-law who is the other half of reVetro. BeadMaker. Eco zealot and hippie mom lives for art. Visual Artist for 40+ years! SDSU Applied Design Graduate with an Emphasis in Metals, studied w/ Helen Shirk+Arlene Fisch. Clay wood fiber graphics painting culinary environmental design background.